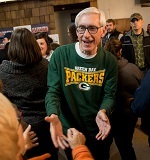 Blue Jean Nation "Hold on to that trump card"
ALTOONA, WI - Wisconsin Democrats entered a euchre player in a high-stakes poker game. We’ll see how that goes. Early signs are worrying, though. I don’t know much about euchre. Played it a couple of times as a kid. Seemed like a nice, friendly game. But I couldn’t wait to get back outside to play ball. 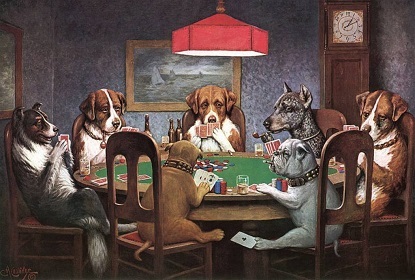 When I was willing to sit long enough to play cards, it was usually poker. It took no time to learn it’s generally a good idea to hold on to aces. The euchre player just discarded one, making an early concession to legislative Republicans by backing off his plan to eliminate the state’s failed economic development agency in his budget. Bad because it violates the first rule of deal-making: Never make a unilateral concession, never negotiate with yourself. Only give up something when you get something in return. Even worse, an invaluable trump card is lost and bargaining leverage is surrendered. The state budget process starts with the governor’s proposal, which will be coming sometime next month. The legislature tears it apart and puts it back together, amending it to lawmakers’ liking before returning it to the governor’s desk. The governor signs it into law, but not before being able to substantially alter the legislature’s preferences with partial vetoes. The first hand that’s dealt should be played with the final hand in mind. The governor should ask for the moon and the stars. Budgets are first and foremost declarations of priorities. What’s important to spend money on and what’s not. By setting spending priorities, budgets are also vision statements. Proposing a budget is the governor’s opportunity to put dollar signs next to his aspirations for the state. He won’t get everything he wants, so he should ask for more than he wants. And trump cards need to be held for the final stages of horse trading. I can think of at least two. Both are state subsidy programs beloved by Republicans. Both have been colossal wastes of taxpayer money. Both have been around for years and have failed to produce the promised results. One is taxpayer-subsidized private schooling, otherwise known as school vouchers. The other is the state’s corporate welfare office, officially called the Wisconsin Economic Development Corporation. Both are miserable failures. Yet Republicans remain deeply invested in them. The governor can single-handedly make them vanish. He can propose eliminating funding for both. Republicans who control the legislature can and will vote to restore funding. The governor can then use his partial veto authority to zero out the funding again, and two-thirds majorities in both houses are required to override those vetoes. Republicans don’t have two-thirds majorities. This gives the governor considerable bargaining leverage, if he chooses to keep it and use it. If Republicans don’t grant him more than a few of his budget wishes, he makes two of their most cherished pet programs go away. The governor holds some good cards. How he’s able to play his hand depends on which cards he keeps and which ones he throws away, of course. As the Irish used to say, politics ain’t beanbag. And crafting state budgets ain’t euchre, either.